Principles of nutrition used in the food diary and selected nutrition charts. 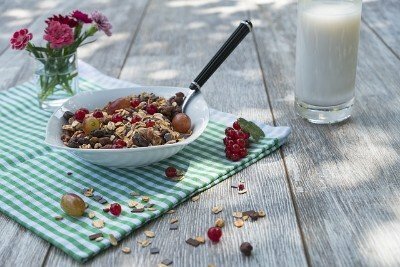 The values for this acid-alkaline Breakfast Cereals chart are explained in my Basic Acid Alkaline Food Chart Introduction. If you have any questions about this information or have any suggestions for improvements, please add your comments below. I have published this information as an introduction to my project to provide you with your free online food diary. Your feedback will help me move this project quickly to provide you with better nutrition management tools. In the latest update, I have focused on Key Foods and added extra nutrition data to the alkaline breakfast list. The values for this acid-alkaline pork products food chart are explained in my Basic Acid Alkaline Food Chart Introduction. If you have any questions about this information, or have any suggestions for improvements, please add your comments below. I have published this information as an introduction to my project to provide you with your free online food diary. Your feedback will help me move this project quickly to provide you with better nutrition management tools. The values for this acid-alkaline fast food chart are explained in my Basic Acid Alkaline Food Chart Introduction. If you have any questions about this information or have any suggestions for improvements, please add your comments below. This chart is an introduction to my project to provide you with your free online food diary, but I’ve barely scratched the surface. I have loads of ideas for turning this basic information into an interactive service to help you plan your diet, but I also want your ideas. Your feedback will help me move this project quickly to provide you with better nutrition management tools. The values for this acid-alkaline sweets food chart are explained in my Basic Acid Alkaline Food Chart Introduction. Are Peanuts Acidic? What about Peanut Butter? Also see Best Diet Foods. Nutrition Information on Foodary is provided by an amateur nutritionist to help you understand healthy eating. Information is provided by a layman, with no medical training or qualifications. It should not be used for diagnosing or treating any health problem or disease. The information is given to help you understand your doctor's advice and know what questions to ask. It is not a substitute for professional care. If you have an actual or suspected health problem, you should consult your doctor.